How Much Does Gas BBQ Installation Cost? If you live in an area with high natural gas reserves, maximizing on the low gas costs could be the easiest ways to cut your utility bills. Natural gas can run your HVAC system, your cooker, and even your BBQ grill. Even though many people have exploited the first two options, very few have ventured into gas BBQ installation. The cost to install a gas BBQ will depend on the grill itself and the length of the additional gas line you have to run to power the grill. How Much Will It Cost To Install a Gas BBQ? The complexity, features and design of a gas BBQ will determine how much you spend on the project. Cheap simple grills will go for as low as $100 while complex designs could cost as much as $600. 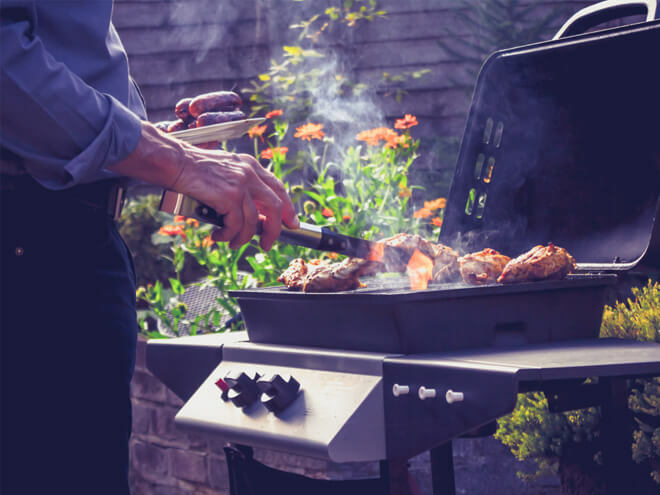 On average, most American homeowners will spend around $200 to sufficiently install gas BBQs. There isn’t much to consider if your home is already connected to a service line. However, if the neighborhood is connected and your home isn’t, you will have to hire a professional contractor to hookup your home. The contractor will be responsible for all the permits and safety measures. Why Install a Gas BBQ? Since gas is dangerous, it is always a good idea to let a certified contractor handle your gas BBQ installation. Doing a quick inspection of your existing gas equipment during the installation will show whether your system can handle the extra load and help you identify or fix any blemishes while at it. The above costs can vary from one place to another. Ensure that you get a quote from multiple contractors. Comparing quotes will help you receive the best value for your money. You can request a FREE quote by simply entering your zip code in the space provided on this page. Specially tailored information regarding your area and the related cost to install a gas BBQ at your home will be provided to you at no cost. Pros are ready to quote you and answer any question you may have about the installation and related costs. There's absolutely no obligation to purchase or sign any contracts, it's 100% FREE. It's a great way to decide what will be possible given your budget.